This feels like the worst-kept secret in the NFL. New Arizona Cardinals head coach Kliff Kingsbury hasn’t been shy about publicly gushing over Murray and his exploits at OU. Josh Rosen should have nice value on the trade market if/when Arizona opts to make that choice. At this point, all signs are pointing to the Cardinals taking the diminutive signal-caller out of Oklahoma. 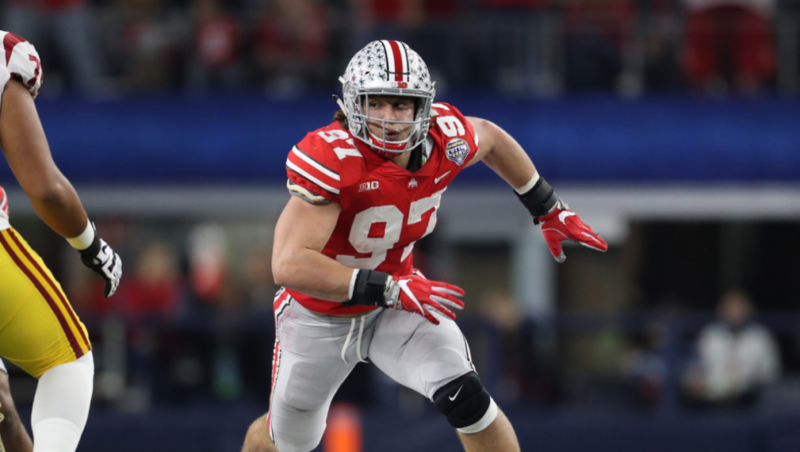 At the beginning of the draft process, Bosa looked like the stone cold lock to go No. 1. Now, the 49ers will be in the fortuitous position in having the talented pass rusher fall into their laps. There’s also some flexibility here for Kyle Shanahan’s team. SF could easily move down to collect more picks. 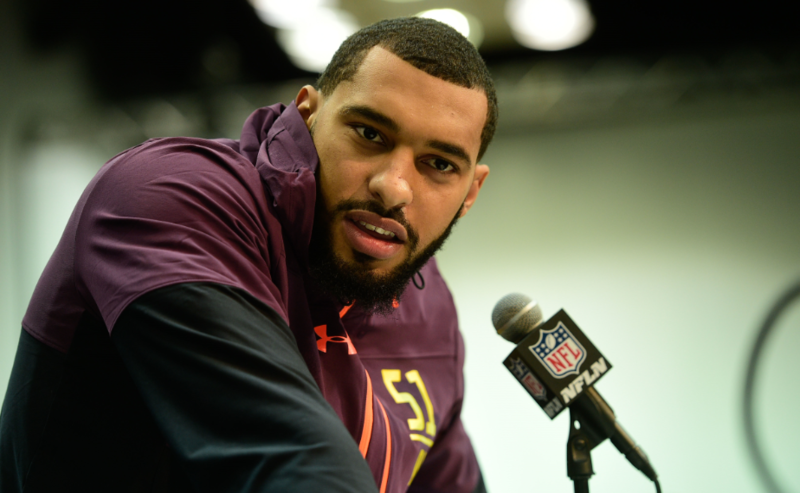 Remember, the team has invested quite a bit of capital most recently in three first-round picks along the defensive line (DeForest Buckner, Arik Armstead, Solomon Thomas). With that said, Bosa appears to be much more of an elite prospect when compared to the aforementioned trio. The Anthony Barr last-minute reversal will necessitate the Jets taking Allen here. Allen can put his hand in the ground and rush off the edge. Duly, he can also stand up in space and be utilized in a myriad of ways. This pick makes absolute sense for a team in starved need of a legitimate pass rusher. Oakland needs talent everywhere. 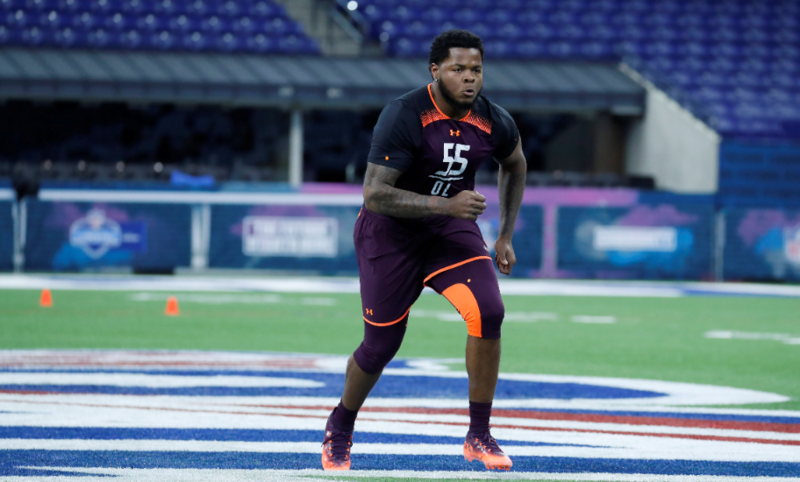 While defensive tackle isn’t necessarily a position of need, Williams is too talented to pass up at this spot in the draft. He dominated the SEC last year as both a run-stuffer and a pass-rushing force inside. 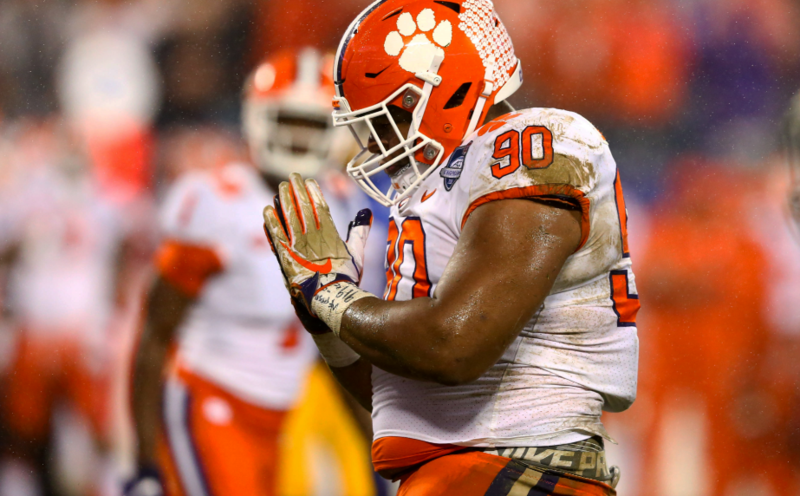 Williams plays with tremendous leverage, and is a master at using his hands to disengage offensive linemen. Tampa Bay desperately needs to shore up its defense. The Bucs ranked No. 27 last year in total defense. White makes a ton of sense from the standpoint that he plays akin to a heat-seeking missile. He’s a three-down player, and always approaches the football field with tons of enthusiasm. Don’t be surprised if he leads the team in tackles as a first-year player. Sweat is an absolute freak of an athlete. 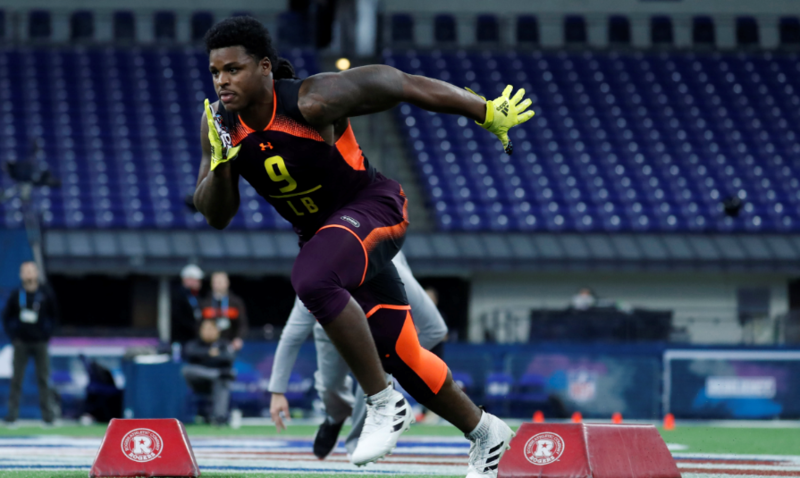 The 6-foot-6 260-pound edge rusher ran a 4.41 in the 40-yard dash during the NFL combine. This sort of athletic ability should allow the Giants to move him all around the field in order to gain favorable matchups. 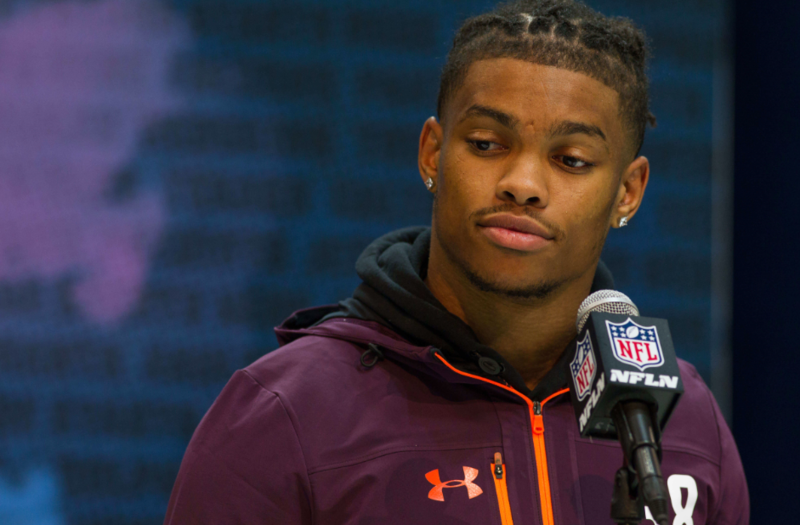 With last year’s sack lead Olivier Vernon now in Cleveland, it also makes sense for New York to find a guy capable of getting after the quarterback. 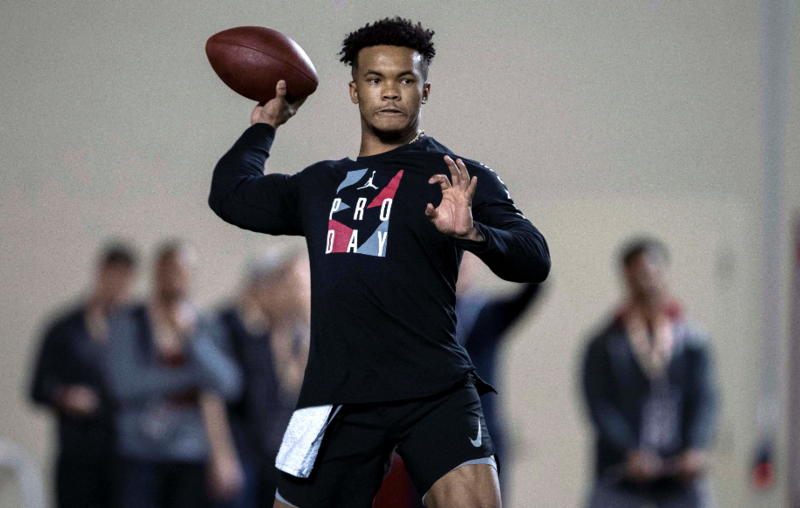 In virtually every mock draft leading up to April, the Jaguars have been associated with Taylor. 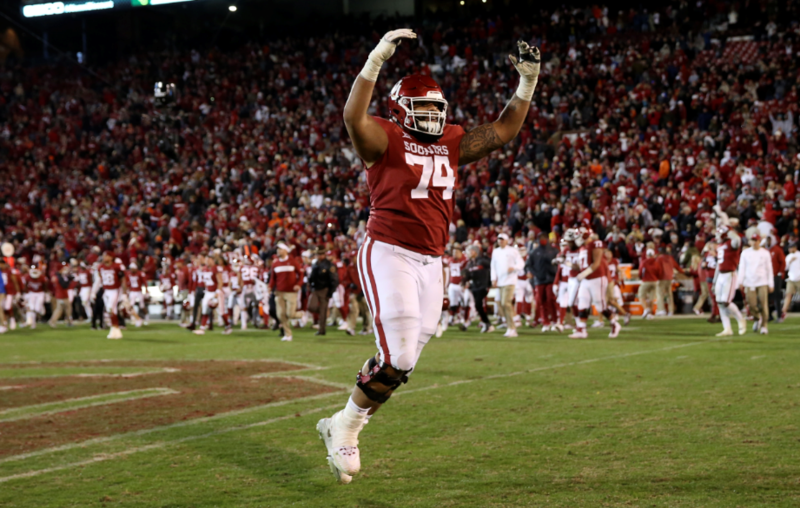 Not only is he a local product, but Taylor is the draft’s top offensive linemen. The mammoth tackle will likely set up shop on the right side of the line. With the amount of money given to Nick Foles this offseason, Jacksonville surely needs to protect its investment. Burns’ best football appears to be ahead of him. While still a bit raw, the natural gifts are there for him to take over a game on any given Sunday. 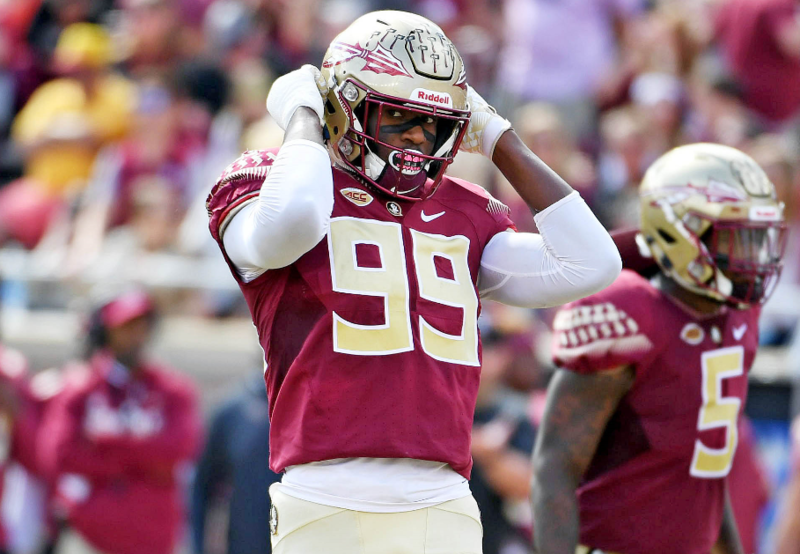 He led Florida State this past year with 15.5 tackles-for-loss and 10.0 sacks. Burns would be a nice addition alongside recent big-time acquisition Trey Flowers. With Kyle Williams retiring, Buffalo certainly needs help within the interior of its defensive line. Not only is Oliver a perfect fit, but he’s also the best player remaining on the board. Oliver’s short-area quickness makes him a potential terror in the same way that Aaron Donald has been since entering the league. Here’s where things get interesting. We know Joe Flacco isn’t the quarterback for the future (or at least for Denver’s sake we hope that’s not the case). 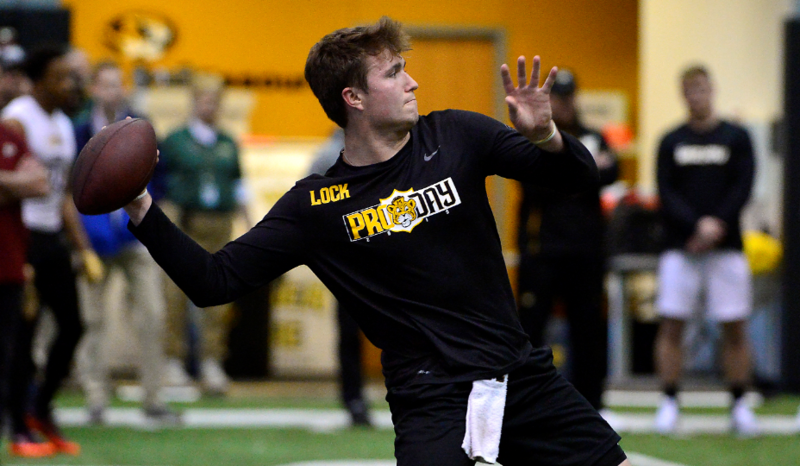 John Elway traditionally is enamored with quarterbacks possessing plus-arm strength. Lock can sit behind Flacco and develop accordingly. He does have the ability to shoot the ball downfield. In a cold weather city, this attribute is ideal. Andy Dalton is nothing more than mediocre. For Cincinnati to change the fortunes of its franchise (among other things), it needs to start on a rebuild. Haskins makes a lot of sense here. He’s accurate with the football, and also isn’t one to make rash decisions when pressured. 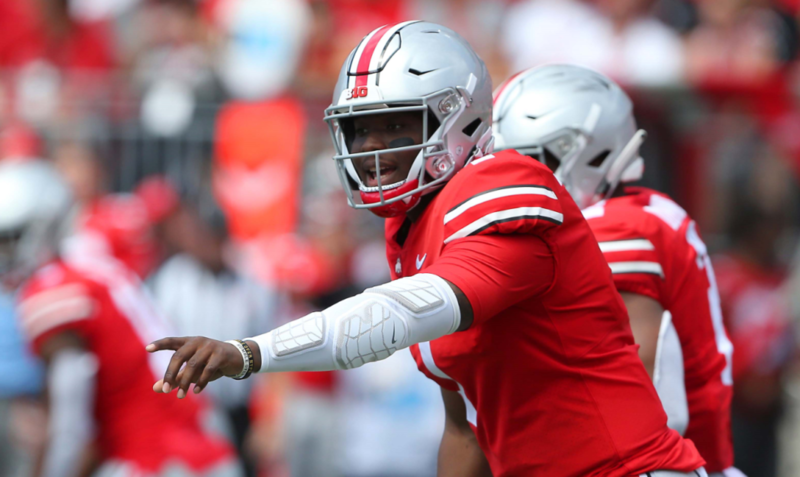 Duly, he comes from right down the road at Ohio State — a football program arguably more popular in its own state than Cincinnati. Bush would be a perfect fit alongside Blake Martinez. Though a bit undersized for the position, Bush plays as if his hair were on fire. He ran a 4.43 in the 40, and had a vertical jump of nearly 41 inches. 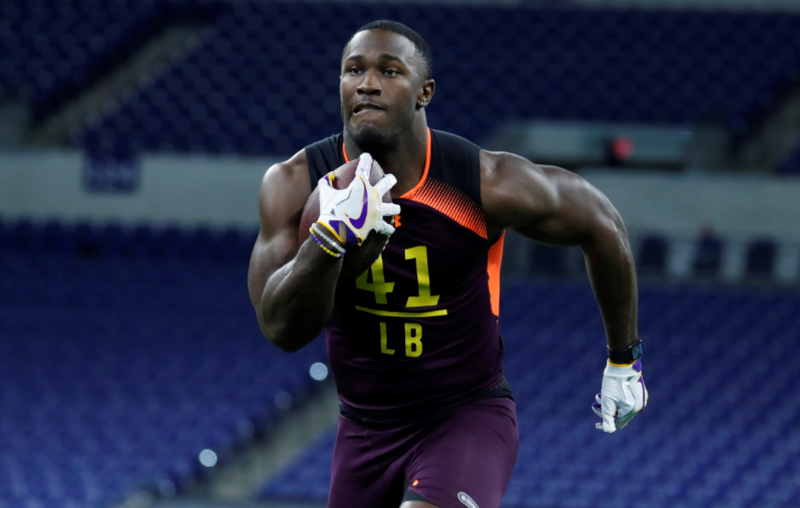 Bush offers Green Bay a massive upgrade in speed and athleticism. The Packers have lacked someone with the ability to make plays in space versus smaller, quicker athletes. Bush is the perfect anecdote for that ailment. Wilkins is a very solid player. He’s good against the run, and does quite well in splitting double teams en route to opposing teams’ backfields. 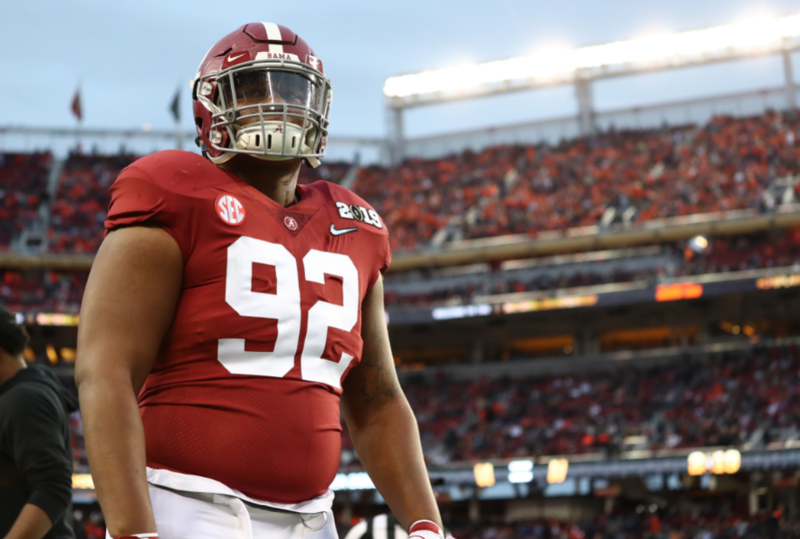 The projected defensive tackle tandem of Davon Godchaux and Akeem Spence doesn’t exactly inspire much in the way of confidence. Wilkins would be an impact guy right away for Brian Flores’ team. 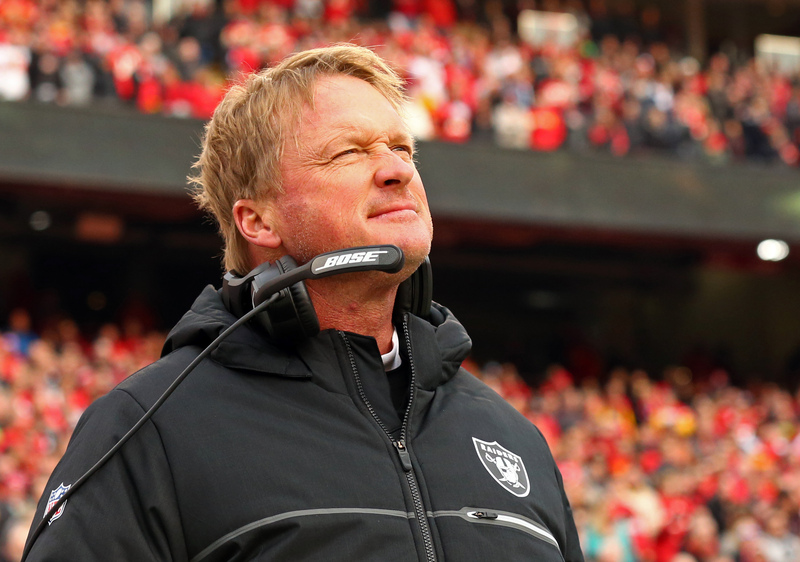 Gary is the typical boom-or-bust prospect in this draft. A star recruit coming out of high school, Gary never lived up to the hype at Michigan. 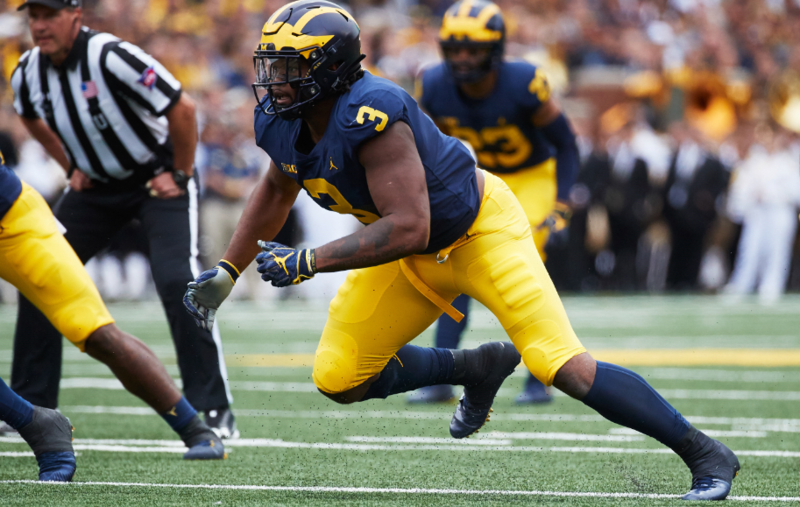 He registered only 10.5 sacks in three years for the Wolverines. Despite this, many are drooling over his potential as a hybrid end/tackle. 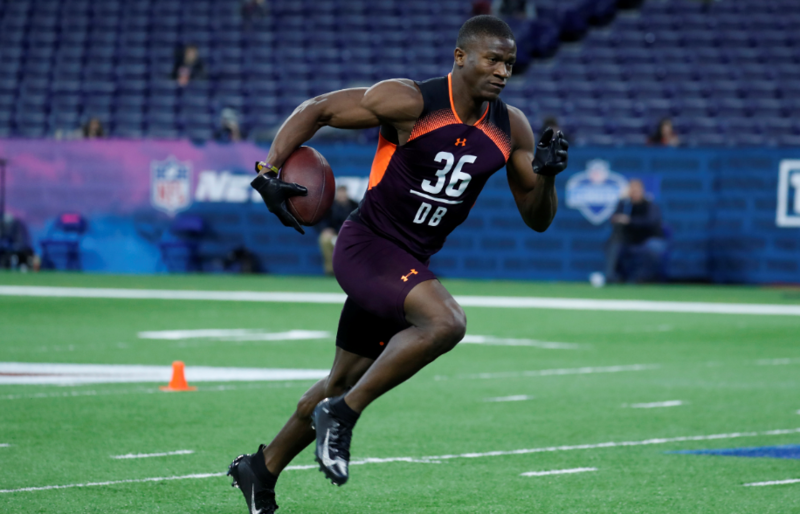 Gary ran a 4.58 40-yard dash at 6-foot-4, 277 pounds. At this point in the draft, Atlanta is hoping it’ll swing for a Grand Slam. However…the potential for a strike-out is also heavily a possibility. From a talent standpoint, this pick may be a bit of a reach. However, it’s clearly necessitated by the QBs taken prior to Jones — as well as the horrible injury to Alex Smith. Jones is solid yet not overly spectacular. His strength lies in regards to mobility and accuracy rather than arm strength. 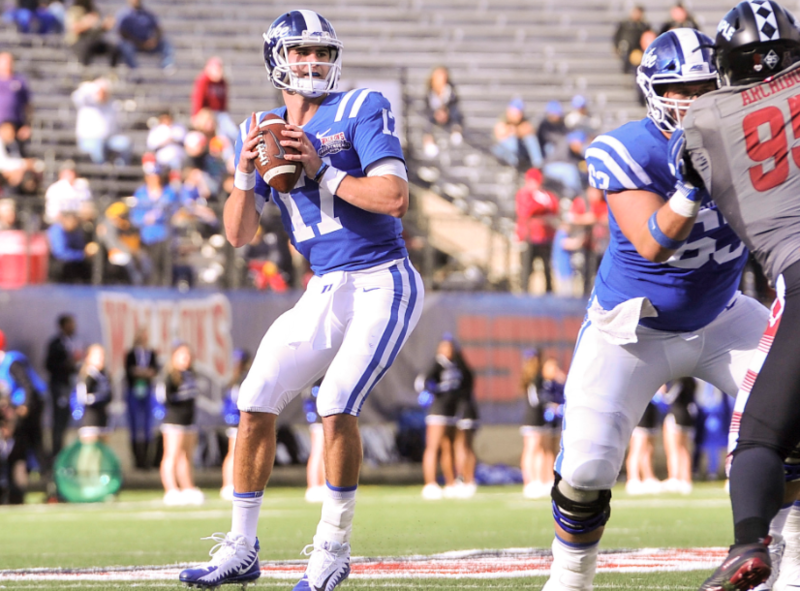 Having being tutored by famed QB guru David Cutcliffe, Jones certainly knows how to play the position. It’s very possible he may develop into a starting quarterback. With that said, he doesn’t seem like a ‘difference-maker’– but rather a steadying force (which Washington might need in all honesty). Carolina could certainly use a pass-rushing specialist. 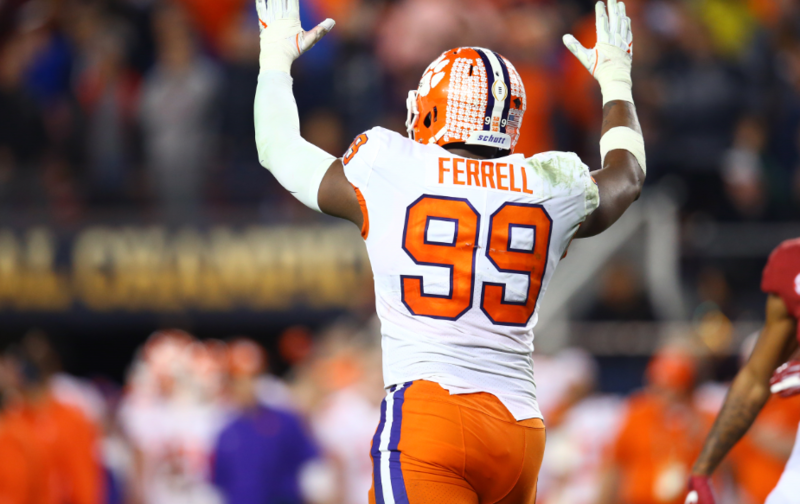 At this point in the draft, there’s none better than Ferrell. 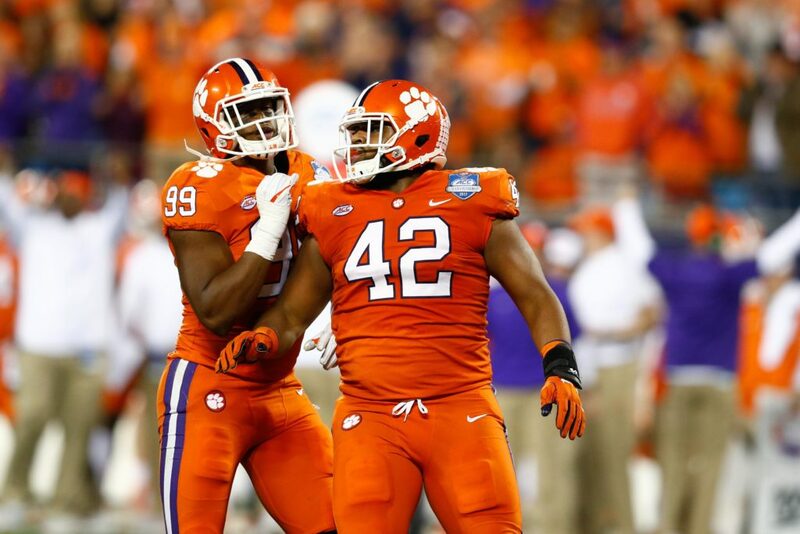 He was a dominant force this past year for the National Champion Clemson Tigers. Ferrell’s first-step is quite good — as is his energy level on the field. One would also have to think that Carolina would have decent familiarity with the local prospect (with Clemson relatively close in proximity to Charlotte). The Giants already have a freak at the running back position. 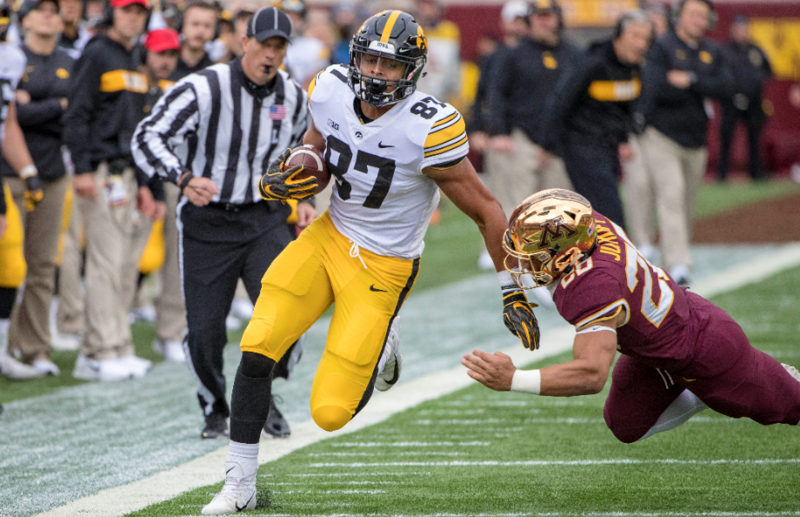 Why not add one to the wide receiver corps? 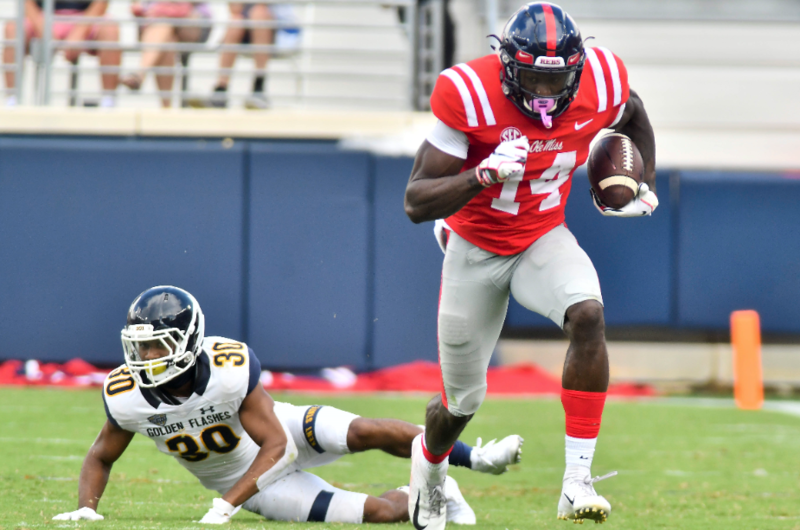 Metcalf is essentially Hakeem Nicks with the athletic ability of Alvin Kamara and the physique of Aaron Donald. Never have we seen such a physically-imposing receiver. 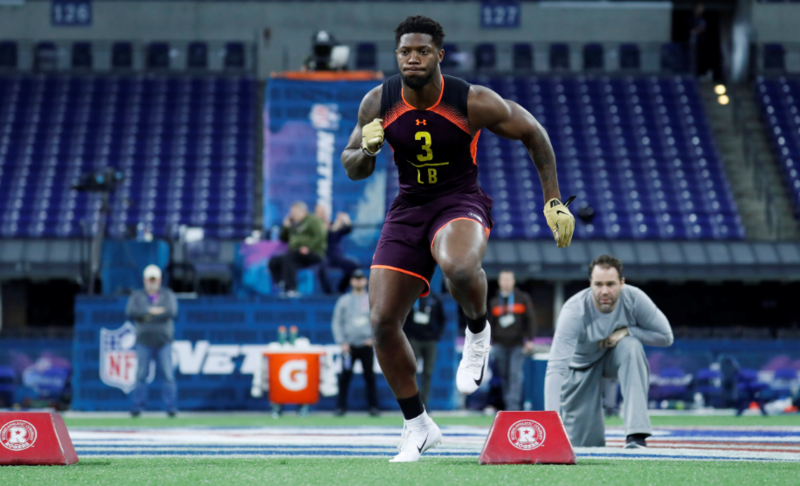 Aside from bullying smaller corners, Metcalf (at 228 pounds) was clocked at 4.33 in the 40. With no Odell Beckham Jr. on the team, the Giants are in need of a big-time pass-catcher. Minnesota has seemingly needed offensive line help for the past decade. The team is relatively stacked at most spots — yet always appear to be snake-bitten by injury and inconsistency up front. 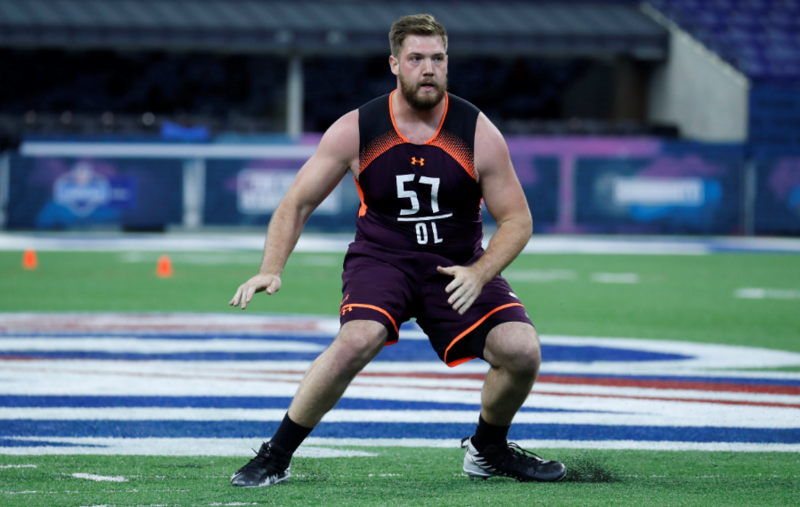 Ford is versatile enough to function as both a guard and as a tackle. He should step in right away and be a plus in the realm of run blocking. Like Minnesota, Tennessee could stand to use more help within the interior of its offensive line. The signing of Rodger Saffold took care of one spot. However, the youthful McCoy will fit in quite nicely as well. 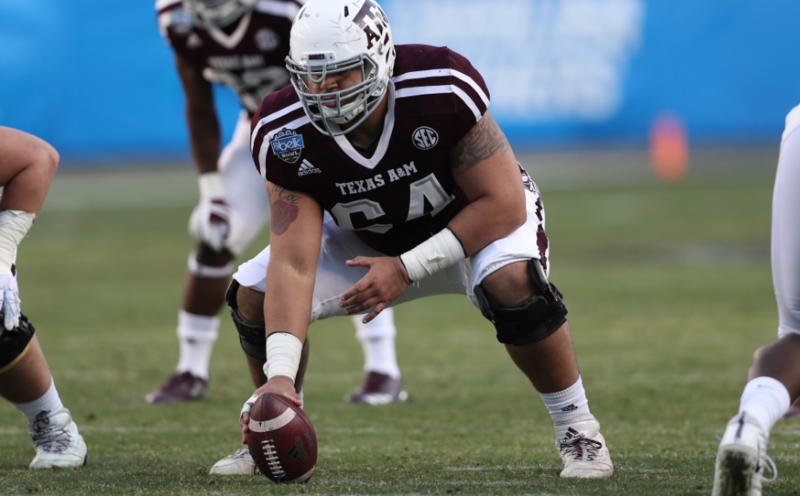 A guard-center hybrid, his eventual position will be dictated by how well he can adapt to the rigors of the NFL. Vance McDonald is not the long-term answer at the tight end spot. The Steelers really haven’t had a difference-maker at the spot since Health Miller retired. 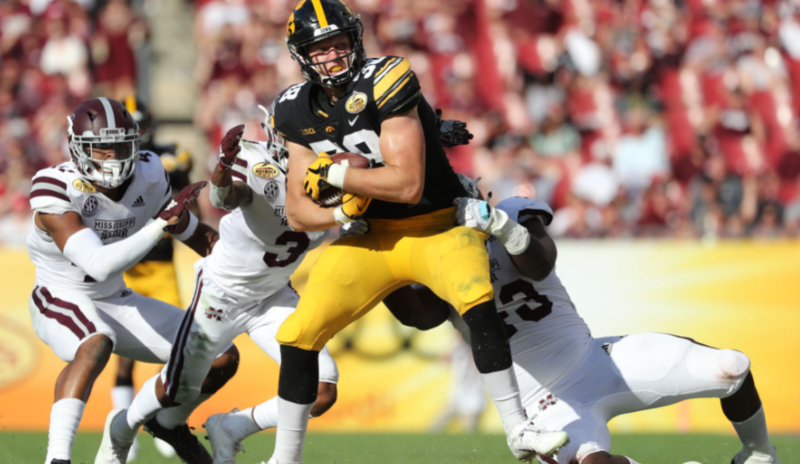 Hockenson is the draft’s best tight end, and figures to be an upgrade at the spot. His effectiveness as a pass-catching force will also help to mitigate the loss of Antonio Brown. Pete Carroll loves Pac-12 guys — particularly if they come into the NFL from a well-coached program. Murphy fits the bill in this capacity, and also should mesh well with Carroll’s competitive nature. 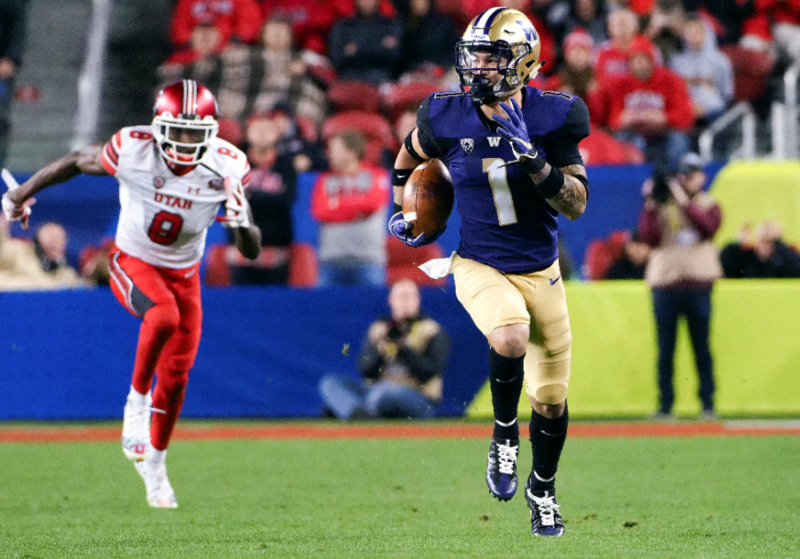 Murphy is technically sound, has terrific ball skills, and played his collegiate ball at Washington. Not to mention, Carroll’s specialty as a coach is working with corners. All suffice for why the Seahawks will poach him at this point in the draft. Williams started at Alabama as a true freshman. That fact alone makes him a noteworthy prospect. Though a tackle by trade, Williams’ positional versatility makes him an intriguing pick here for the Ravens. Both of Baltimore’s starting guards may not be with the team beyond this season. 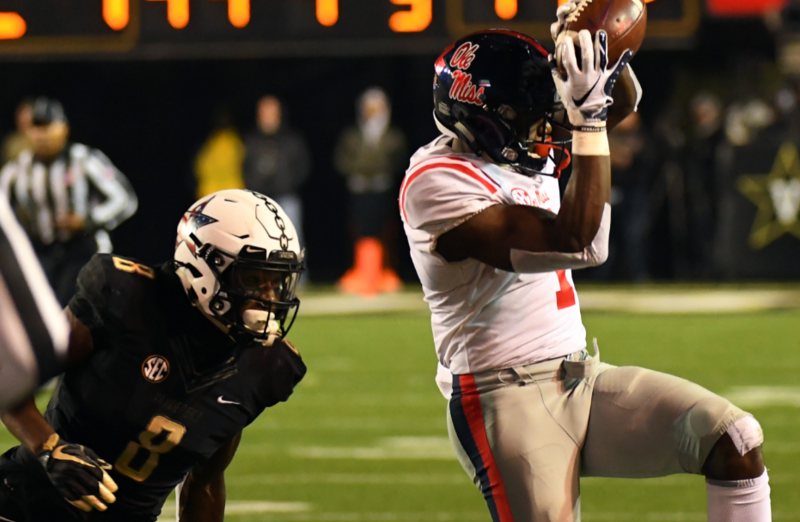 As such, it would make sense to grab a contingency plan in the form of an All-SEC player. 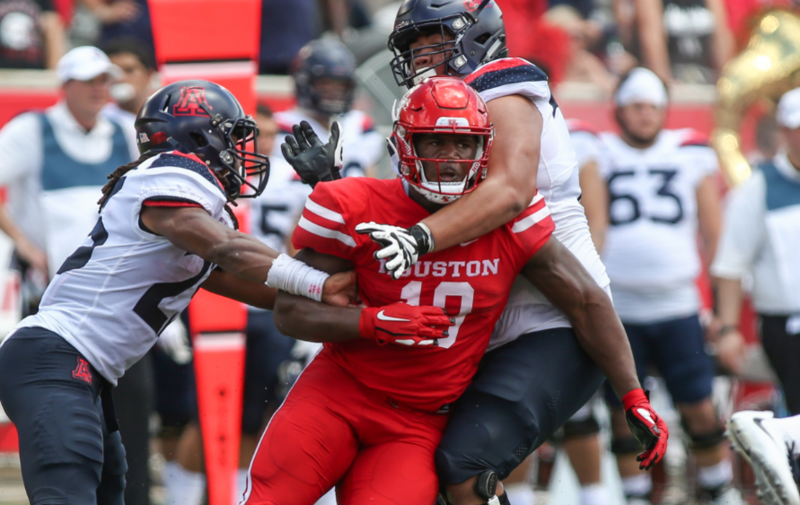 Houston needs help up front. Bradbury makes a ton of sense, particularly since he can function well at both guard and center. Formerly a tight end, Bradbury is excellent in getting to the second level. He was recognized this past season as the Rimington Trophy winner (given to the nation’s best center). Bradbury would likely win a starting spot on Houston’s offensive line — whether it be at center or inside at guard. Ironically enough, Fant is very similar to Oakland’s most-recent tight end, Jared Cook. Fant is excellent at getting down field. Much of his damage is done up the seams of the field — though he also has the ability to line up at a number of spots. Fant’s game is truly predicated upon using his athletic ability. In terms of a comparison, Fant is eerily similar to the likes of Eric Ebron and Evan Engram. For as excellent as Jason Peters has been, he’s already 37 years of age. Couple that with the plethora of injuries, and there’s no doubt his career will quickly come to a close. 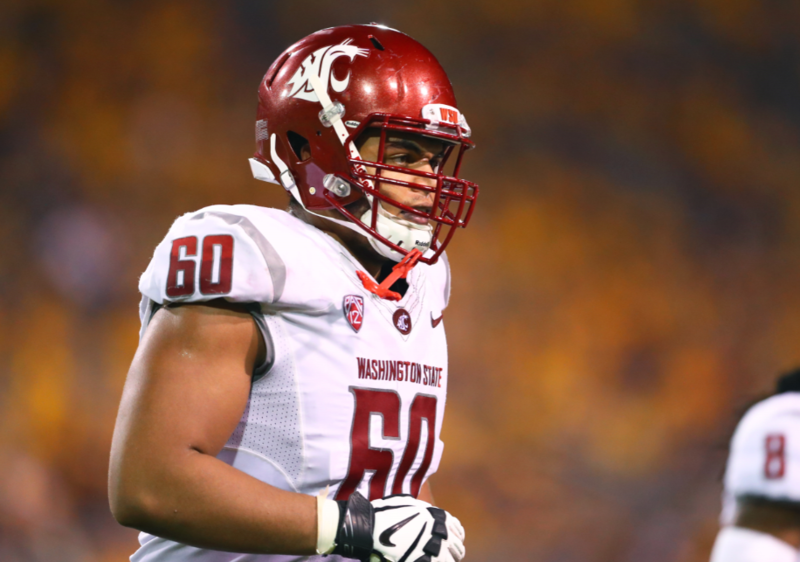 Dillard started for four years at left tackle for Washington State. He’s a plus athlete for the position, and also is known for possessing tremendous leadership skills. Philadelphia would do very well to nab him here at this point in the draft. 6-foot-8 Margus Hunt is 31 years of age. 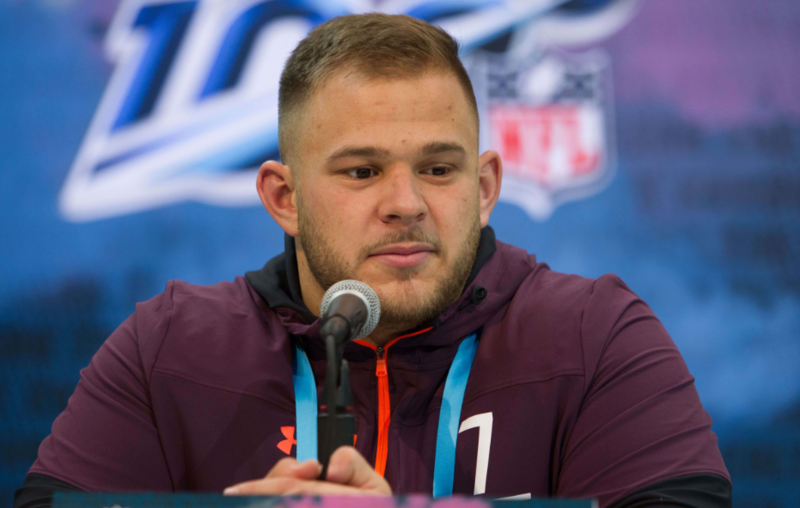 Ideally, the Colts would like to inject both youth and talent up front. Tillery — standing 6-foot-7 himself — would be a steal at this spot. He plays with good pad level, and is a very effective force when batting down passes at the line of scrimmage. It’s no secret Indianapolis needs help defensively. Tillery would be a good place to start. 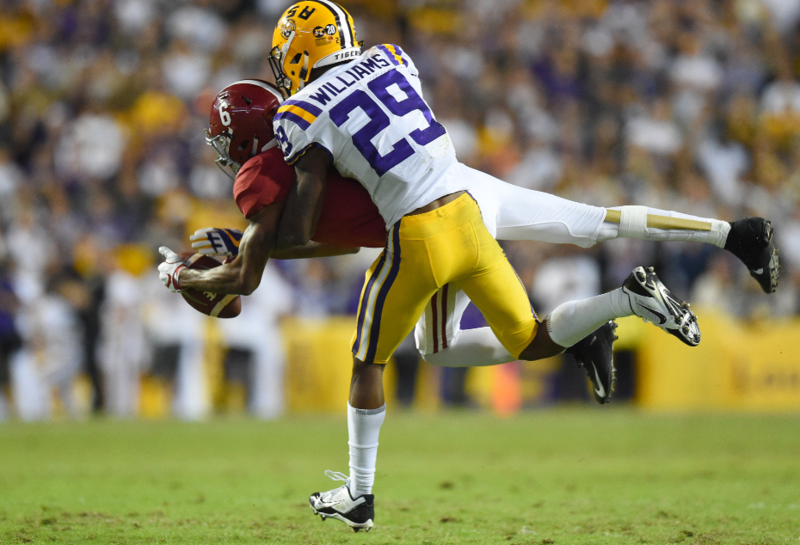 Though there’s some depth at corner, Williams is too good a player to pass up at the end of the first round. He developed into one of the SEC’s best defenders over the last few years. Quick-twitched and aggressive, Williams can play both as a boundary corner and in the slot. The Chargers aren’t far away from being a Super Bowl contender. Lawrence would be a perfect complement to an aging Brandon Mebane. 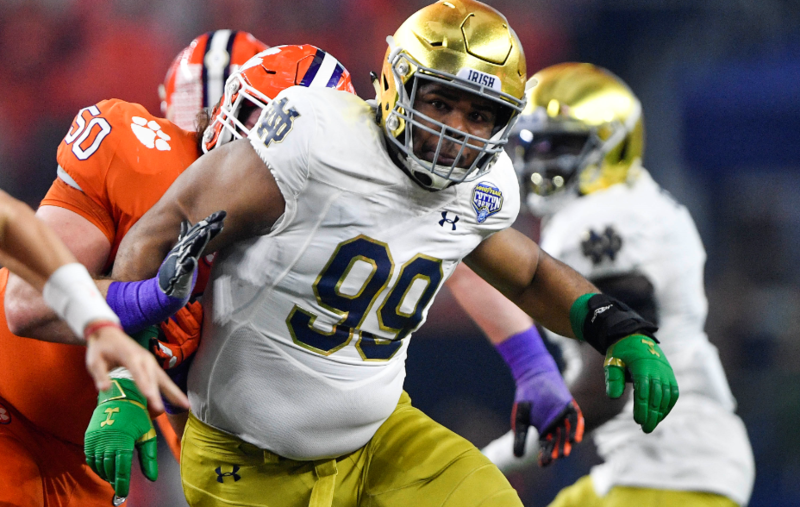 The best nose guard in this draft, Lawrence is the prototype run-stuffer/space eater. He not only will help the Chargers’ run defense, but he’ll also offer an upgrade to what they’ve had over the last few years. Kansas City needs defensive help in a big way. With Eric Berry out the door, there’s also need for a safety. 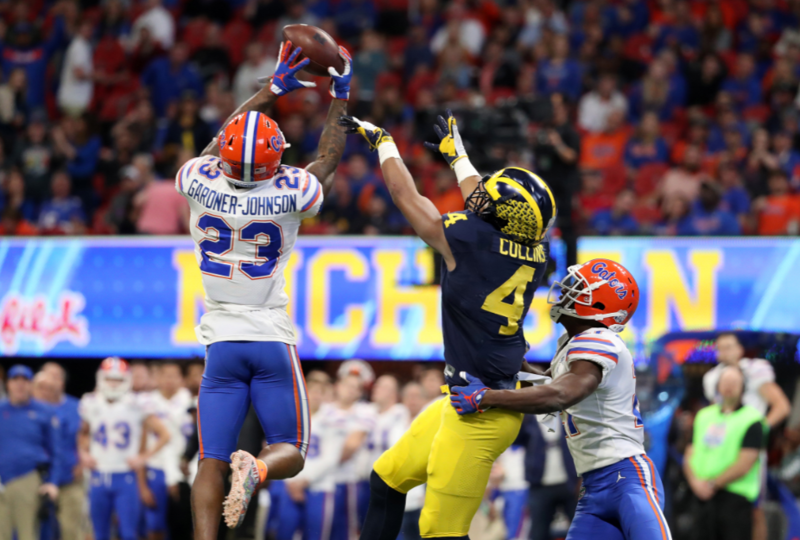 Gardner-Johnson is a very good athlete. He’s very capable in backpedaling in coverage on throws looking to exploit deeper parts of the field. Duly, he’s explosive when creeping up in the box for run support. With the versatility to also be a nickel defender, there’s a lot to like about his game.